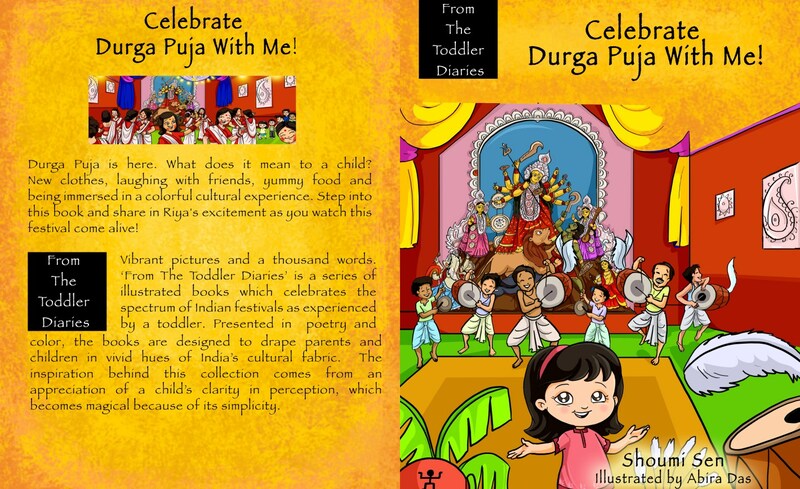 Written in a poetic style, the book takes us through the Pujo rituals. The book starts from Shashti (the sixth day) to Dashami (the tenth day). It uses vibrant illustrations and simple yet poetic words. The Author, Shoumi Sen, does a wonderful job of explaining the rituals and what exactly is done on what day without going overboard. There are just adequate details for us to know how exactly the Pujos are celebrated in Bengal and why they hold a special place in every Bengali's heart.